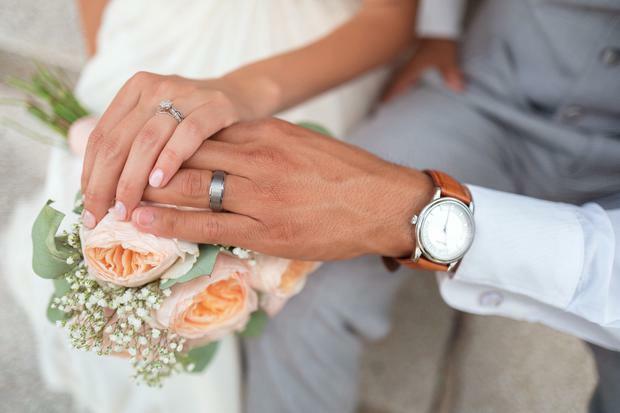 A groom has devised a budget plan that allows guests to pay to fund different aspects of the big day, selling his idea to friends and family as akin to an 'all-inclusive holiday'. Ben Farina , who is due to marry partner Clare Moran in June 2018, has asked guests to contribute to make it a dream occasion and says the idea has gone down well with guests. The groom said he "sold it to [friends and family] a bit like an all-inclusive holiday" on the basis that "people always pay a large amount of money to go to a wedding anyway". Some 60 guests are to pay £150 (€170) each, which will include a three-night stay at the Knockerdown Cottages hotel in Ashbourne, Derbyshire, to top up the £2,000 (€2270) the couple are spending, the BBC reported. Ms Moran told the broadcaster: "We had spoken about marriage because we've got a little girl together and I always said we wouldn't be able to afford to do it, or it would have to be a registry office wedding, not a big wedding. "This is a brilliant way to do it and I can't wait. He has put a lot of thought into it." Mr Farina said the pair once spent more than £1,700 (€1930) to attend a friend's wedding in Greece. "All the food and drinks will be incorporated in that cost," said the groom. The couple has also drafted in family and friends to help cater and provide music. Mr Farina said "People always pay a large amount of money to go to a wedding anyway, so why not have it paying towards the actual wedding rather than just to a business owner?"